There are at least six artists with the name Laika: 1.) 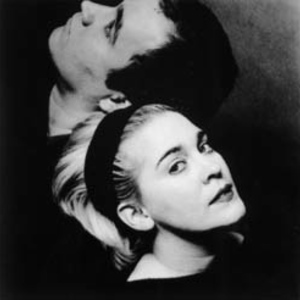 Laika is a band founded in 1993 by vocalist/lyricist Margaret Fiedler and producer/engineer Guy Fixsen. Fiedler was previously a member of the Too Pure band Moonshake. Fixsen had worked as a producer and engineer for that band, and also legendary bands such as My Bloody Valentine and The Breeders. Fielder has been the guitarist for legendary British post-punk band Wire since 2008. 2.) Laika is a duo that consists of Kay the Aquanaut and Factor. Their debut EP Pangean Drift was released on July 3, 2012. Pangaean Drift is the lead up to Laika's full-length debut album Letters From Laika that will be released on Circle Into Square in February of 2013. 3). A Metal band from Winnipeg, Manitoba, Canada. 4.) A Jazz female vocalist aka La?ka Fatien. 5.) A loud rock band from Highland, Illinois.